The objective of the breeder of this outstanding variety was clear - 'to select strong plants that procduce extra large flowers during the cold winter period'. 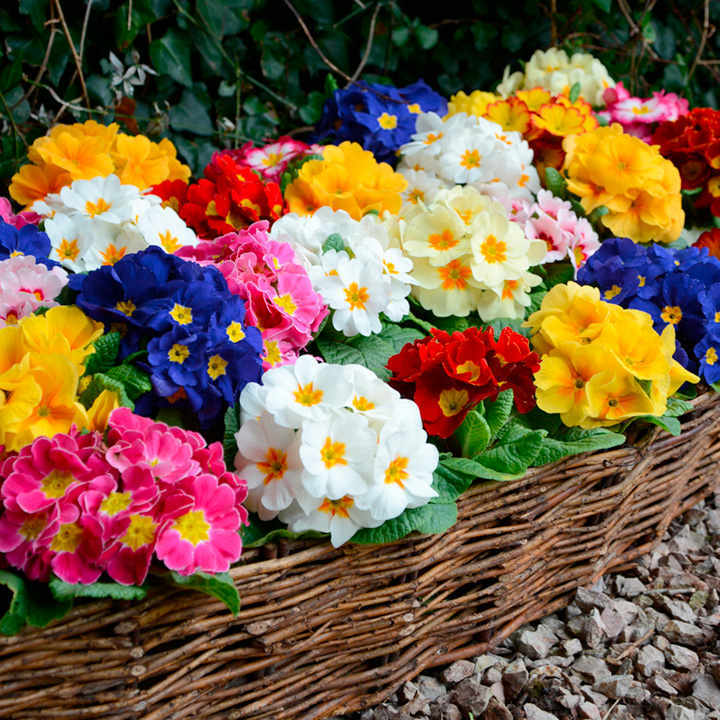 The result is breathtaking: one of the largest flowered primroses in the world (and therefore one of the most strongly scented), in a wide range of colours, including some unique bicolours!Flowers late January-April. Height 10-20cm (4-8"). Supplied in 9cm pots. Probably the largest flowered primrose in the world!